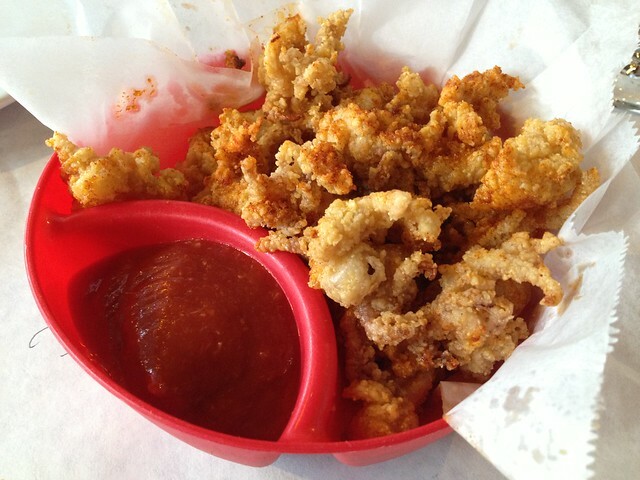 I loved the flavor of the batter and seasoning on this calamari and they were tender, but unfortunately they were on the oily side. The pieces were also VERY small so it became annoying to eat them after a while. 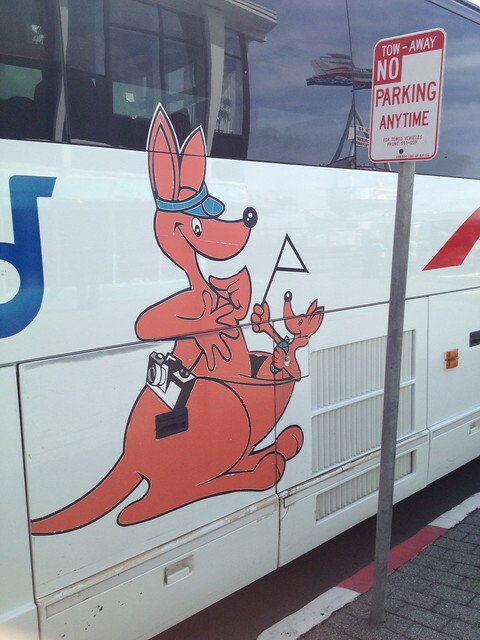 Random tour bus with kangaroo, Fishermen’s Wharf. This entry was posted in Craw Station, Restaurant and tagged cocktail sauce, squid by vicentesf. Bookmark the permalink.